Liberty Jet, founded in 2004 by a private jet owner and Chief Pilot who were frustrated with the lack of transparency in aircraft management. How much are you paying your management company is a simple and straight forward answer to Liberty Jet owners who receive bound monthly reporting of all charter Revenue and expenses for their aircraft. Since founding in 2004, Liberty Jet has experienced significant growth and now operates a large fleet of aircraft ranging from Turbo-props to ultra-long range heavy jets. Liberty Jet now holds a Worldwide operating certificate and manages jets all over the East Coast. Liberty Jet has expanded its service offering after investing in its own proprietary technology to help its customers estimate costs, buy and sell aircraft, locate charter aircraft and manage flights. Liberty Jet now offers jet management, jet card, jet charter and aircraft purchase, sales and advisory services. With a Platinum ARG/US audit rating, you can be assured that you will be speaking with an aviation veteran who understands the private jet charter process. 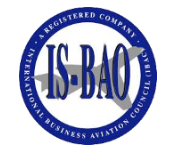 Each flight is carefully processed using safety protocol, checklists and redundant oversight, all of which has been audited by an independent third party. Safety, peace of mind and cost savings are all part of the Liberty Jet Direct Route experience. We cater to a discerning clientele, serving the needs of everyone from high powered executives to families on the go. In today's highly competitive global aviation and concierge market, there is no company that is more quality-conscious than LJM. That is why we at Liberty Jet live by our slogan, Service Beyond Expectations, each and every day.